In and amongst the delights of floating houses and a spot of Breakfast in Bed at the No Bed Like Home Cafe we made for IKEA, we also found some time to prove the awesomeness of 3D films with our lovely clients at RealD, developers of the finest 3D movie technology money can buy. Working with Patrick Fagan of Goldsmiths and the delightful Professor Brendan Walker from Thrill Laboratory, we brought in 100 members of the public (and a host of media too) and put them through a rigorous set of tests – from memory to reaction times. They then had the tpportunity to sit back as half of them enjoyed a spot of Disney’s Big Hero 6 in 3D at a Vue Cinema, while the other half watched the same film in standard format. That complete, they then did the same set of tests. The research found that (much to our relief, it has to be said), cognitive processing times increased to a greater degree for those who watched in 3D and the same was the case for reaction times. Our resident scientists put that down to the more immersive nature of 3D films. 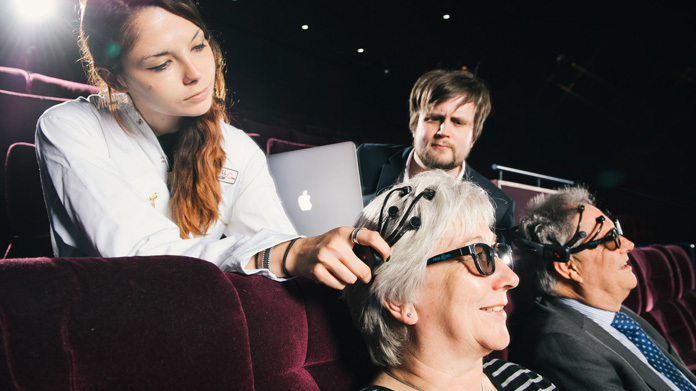 The story that 3D films have a brain training effect did understandably well. The Daily Mail, Daily Mirror, Daily Express, The Guardian, Independent, Herald, and Irish Examiner all picked up the story, along with a host of onlines and regionals thanks to a well-placed piece with the nice people at PA. Simple idea. Simply delivered. Great coverage.